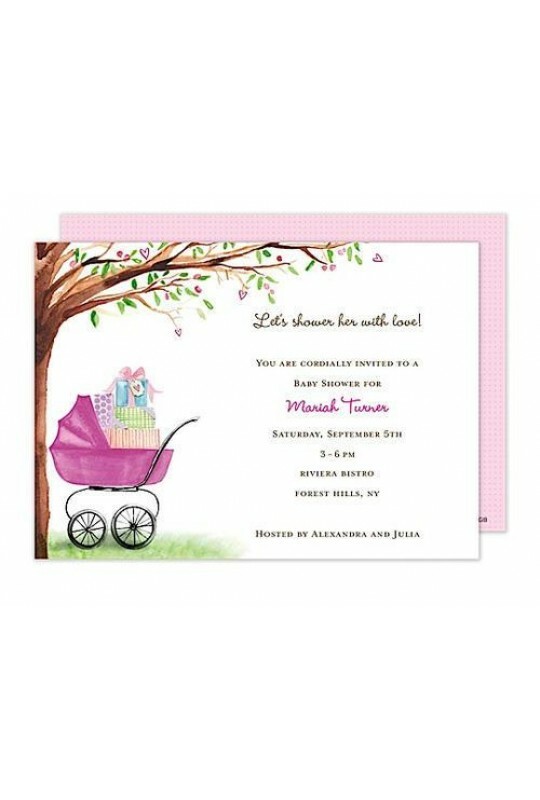 This lovely baby shower invitation from the Bonnie Marcus Collection features a pink bassinet with gifts under a beautiful tree. 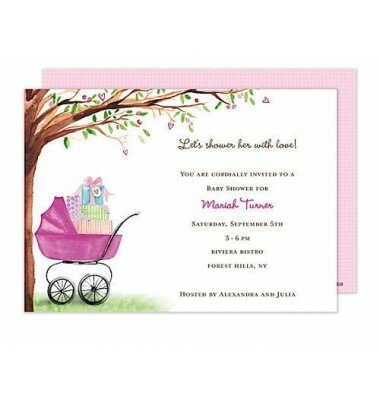 These invitations are expertly printed on luxurious warm white heavyweight paper (recycled and FSC certified). Warm white envelopes are included.